​Borussia Dortmund winger Jadon Sancho has admitted he hopes to provide a 'positive message to kids in south London' as the teenager looks to continue his fine form in 2018/19. 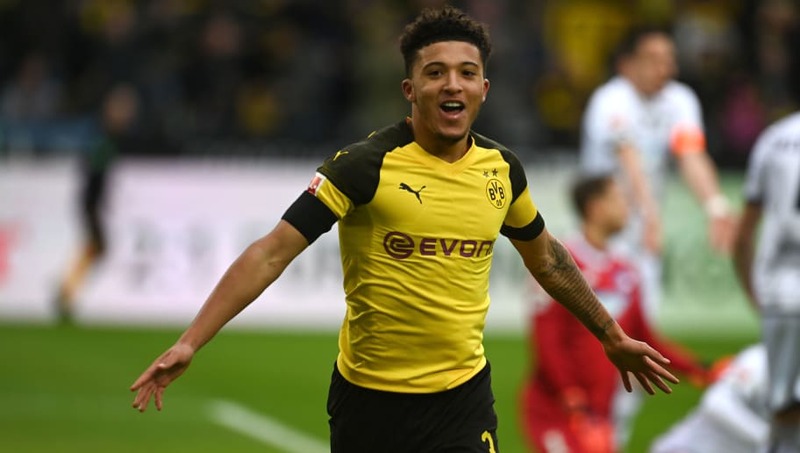 The 18-year-old has starred for Lucien Favre's side this season in what is his second season in Germany, with Sancho scoring eight goals and registering 13 assists across all competitions. Born and raised in Kennington, south London, Sancho hopes his journey from ​Watford's academy to ​Dortmund's first team, via ​Manchester City, in such a short period of time can inspire future kids in the area; whether it be in football or their education. Speaking to ​The Telegraph, he said: "I will never forget where I have come from because I know what it is like growing up in that area and it is not nice especially when you have people around you doing bad things. For the kids that are in south London I hope I can give a positive message. Don't do those bad things. "That doesn’t mean you have to be a footballer. You could focus on your school work. Education is most important thing and a lot of kids in south London get distracted from education. I am lucky enough that I had the opportunity to go to Harefield. "I didn't really want to go to that boarding school. I wanted to stay at home and travel but the people around me told me what was best and I listened to them. I am happy that I am here today." Sancho is poised to return to the area he grew up in when the Bundesliga leaders face ​Tottenham in the first leg of the Champions League round of 16 tie this midweek, with the England international believing his side have improved since their meetings in the group stage last season, when Spurs beat BVB home and away. He added: "I feel like we have improved from last season so it won't be the same match as last year. I think it will be more difficult for them. Especially as they have some big players missing out so it is going to be a tough one."